We pride ourselves on being knowledgeable, honest and open and ‘going the extra mile’ is part of our DNA. Based on the beautiful Isle of Wight, we don’t let a mere four-mile stretch of water stop us from being innovative and developing the best communication solutions for our customers across the UK. You could say that we ‘don’t let the water flow under our feet’! 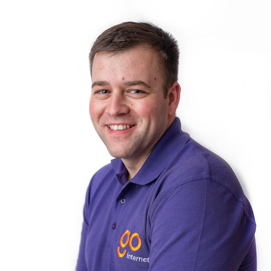 Founder of Go Internet, Trevor leads the team in his inimitable style and is the main contact for business customers. 12 years in the IT industry with a specific focus on telecoms for the last 9 years. 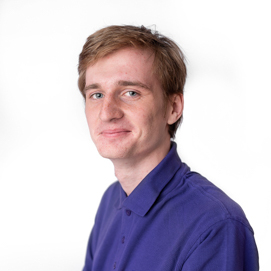 I am certified to use a number of brands of equipment, Cisco, Mikrotik, Siklu & Ubiquiti to name a few – I am also studying part time at the University of Portsmouth for a Degree in Business and Management. At the weekend you might find me in a bar, student union or maybe even at a festival playing music to people. Too many to choose from… Flight of the Navigator or Enemy of the State – oddly enough both fairly geeky movies. A tandem skydive over the Isle of Wight from Sandown Airport – a scary and phenomenal experience at the same time. When not DJ’ing – spending time with my wife enjoying all of the things that the Isle of Wight has to offer – it really is a great place to live and work. 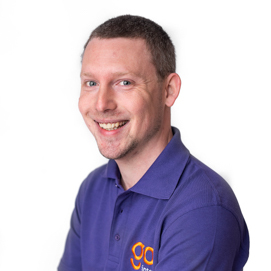 Chief engineer Gareth makes sure that Go Internet’s networks and installations are running smoothly so that beyond super customer service can be maintained. 7 years first-hand experience with ISP protocols / MikroTik Certified Routing Engineer (MTCRE). I’ve never been to Scunthorpe. I don’t drink hot drinks. Built a 6-person boat from polystyrene. 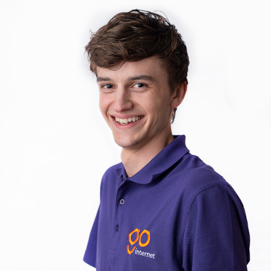 Qualified Network Engineer Thorin, is the main contact in Go Internet’s customer service team and is always ready to help and advise. MikroTik Certified Network Associate (MTCNA) and MikroTik Certified Routing Engineer (MTCRE). I play at least 5 musical instruments (drums, guitar, piano, trumpet and euphonium) and I’m now learning to play the saxophone. Not a film but a series – it just has to be Sense8. On my third day ever snowboarding, I went down a black route… Safe to say I went down 70% of the route on my stomach head first! On the sofa watching Netflix or out and about filming weddings and events. Go Internet’s keeper of books, Mark graces the office with his presence on a regular basis to keep everything up and together for the accountant. Qualified in 2002 and worked in accountancy practice for 15 years – now self-employed. 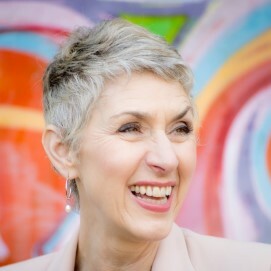 A member of the International Association of Bookkeepers since 2013. My karaoke singing is so bad that on one occasion someone took the microphone away from me! Want a cup of tea or coffee? I’m more into binge watching box sets. Cooking in my kitchen, out on a long country walk or at the pub. 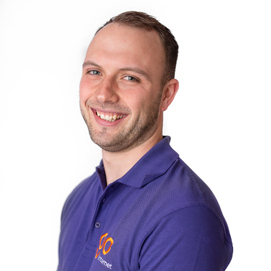 Alex is one of Go Internet’s experienced installers; armed with an arsenal of technical skills he’s our go-to Mr Fix-It. ECS Card, NPORS Operator, Radio link installation, Structured cabling, Fibre optic installation/splicing, CCTV system design & installation. I enjoy metal detecting at the weekends. Better looking at it than for it. Zip lined off a cliff. Spending time with my one-year old daughter. CSCS Green Labourers Card, COSHH, Asbestos Awareness, Structured Cabling, Fibre Optic Splicing, CCTV Installation, Radio Installation. I used to ride a unicycle. Playing video games or Airsoft. The youngest member of the Go Internet team, Elizabeth is enjoying the opportunity of putting her studying into practice while learning all things technical. Currently studying Business Administration Level 3. I went to Theatre School as a budding actor. Would anyone like a cup of tea or coffee? A Star is Born closely followed by Beauty and the Beast. Rode on ‘The Speed’ at the Isle of Wight Festival. Out and about exploring secret places on the Island with friends and family. 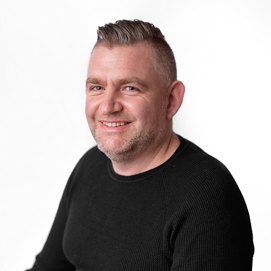 Part of the Go Internet virtual team of specialists, Dee heads up the PR & Marketing function of the business and helps us to communicate in the very best way possible. I’m half-Austrian and speak German (well a bit!). On Golden Pond with Katherine Hepburn & Henry Fonda. Attempted to walk around the Isle of Wight in 24 hours non-stop. Having coffee and cake with a friend. Allow us to help you build your business.